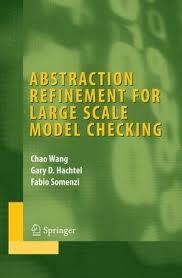 Abstraction Refinement for Large Scale Model Checking summarizes recent research on abstraction techniques for model checking large digital system. Considering both the size of today's digital systems and the capacity of state-of-the-art verification algorithms, abstraction is the only viable solution for the successful application of model checking techniques to industrial-scale designs. This book describes recent research developments in automatic abstraction refinement techniques. The suite of algorithms presented in this book has demonstrated significant improvement over prior art; some of them have already been adopted by the EDA companies in their commercial/in-house verification tools.